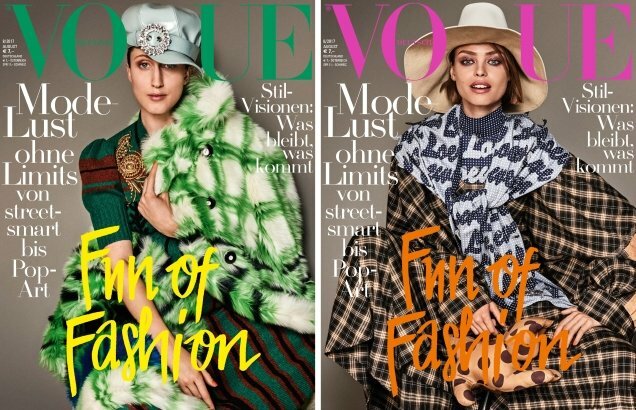 What’s going on over at Vogue Germany lately? Last month, the magazine managed to botch a cover image featuring the ever-gorgeous Anna Ewers and now delivers a trio of atrocious covers for August 2017. The German glossy sure does love a multi-cover issue and this month gives Yasmin Wijnaldum, Anna Cleveland and Birgit Kos individual covers. Photographed by Giampaolo Sgura, the girls pose in the studio wearing a mix of Gucci, Miu Miu and Loewe, leaving our forum members shaking their heads in disbelief. 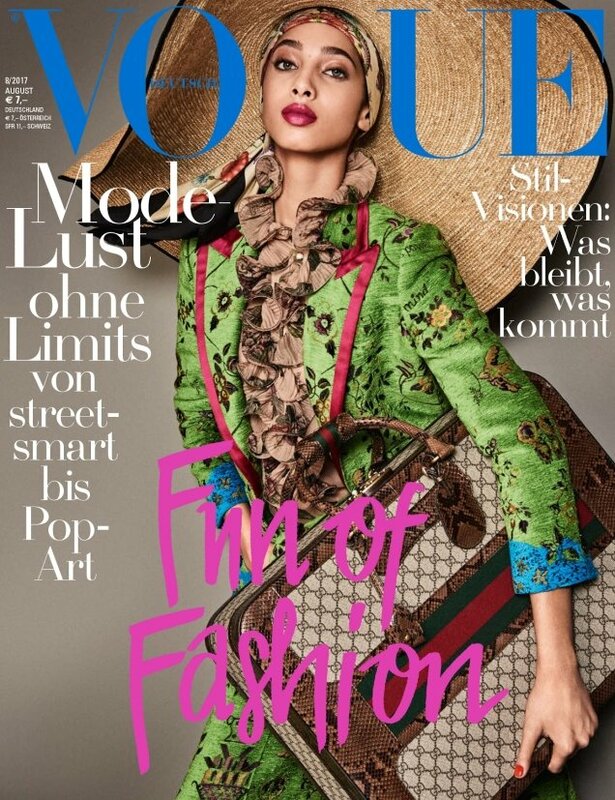 Better luck next month, Vogue Germany. “Too much for my eyes,” exclaimed horrified forum member MDNA. “I can’t believe that’s Yasmin (above). She looks the worst! Sgura, well done for making Yasmin look cheap because I could NEVER imagine that one day I would find a hideous shot of her like this. Birgit is also too good for that mess (below right),” wrote badgalcrush. “Haha such cheapness! Not even worthy for a random editorial shot, let alone for the covers!” critiqued Miss Dalloway. But not everyone was a hater. “These covers are fun and Yasmin looks phenomenal! Everyone seems to be so prejudiced about Sgura… if this had Meisel’s name on it, y’all would be salivating at the mouth!” defended forum member russianelf. “I quite like Anna’s (below left) to be honest. It looks like the styling fits her quirky personality the most as well,” confessed ash92. Which cover do you prefer — if any? See more from the issue and join the conversation here.